A public house since 1699, The Rose and Crown is probably Pitstone and Ivinghoe’s oldest surviving business. Today it is operated as a community facility and in 2010 was awarded Aylesbury Vale’s Community Pub of the Year, Runner-up. 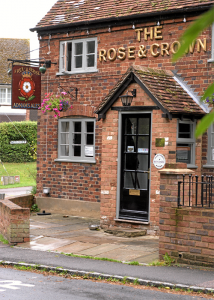 As well as being run on a day to day basis as the village pub, The Rose and Crown is available for events. There is no charge for the venue; only for catering. The pub is also available for local fundraising activities and regularly contributes to, and assists with, local fundraising initiatives. The pub hosts a number of clubs, groups and activities. Please check the website for up to date information.